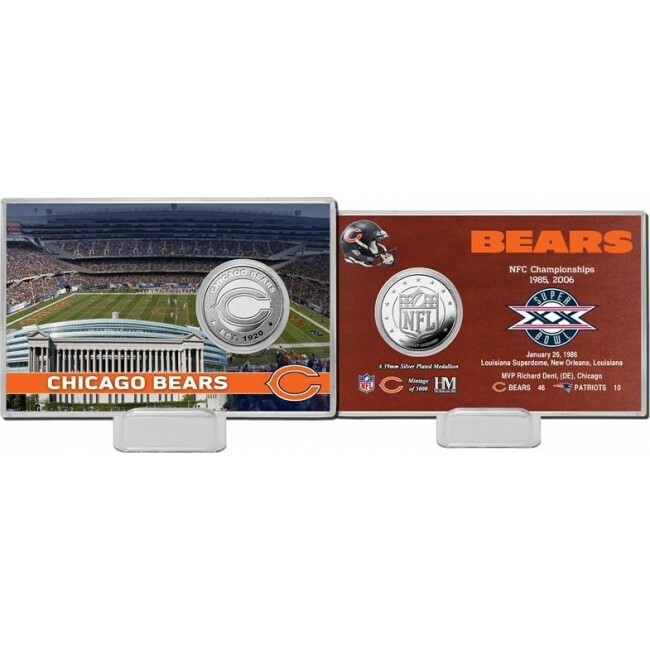 A 39mm Minted Silverplate team coin is featured in a 4"x6" Acrylic display with printed color graphics commemorating the Bears and each of their Super Bowl Championships! Each coin card is delivered with a display stand. A limited edition of 5,000 and officially licensed by NFL. Proudly made in the USA by The Highland Mint!